Clear Cut Lubricant - FREE Shipping! Designed specifically for gardening tools and machinery, Clear Cut‘s lubricating properties provide an UNMATCHED non-stick coating to scissors, clippers, hedgers, and shears. 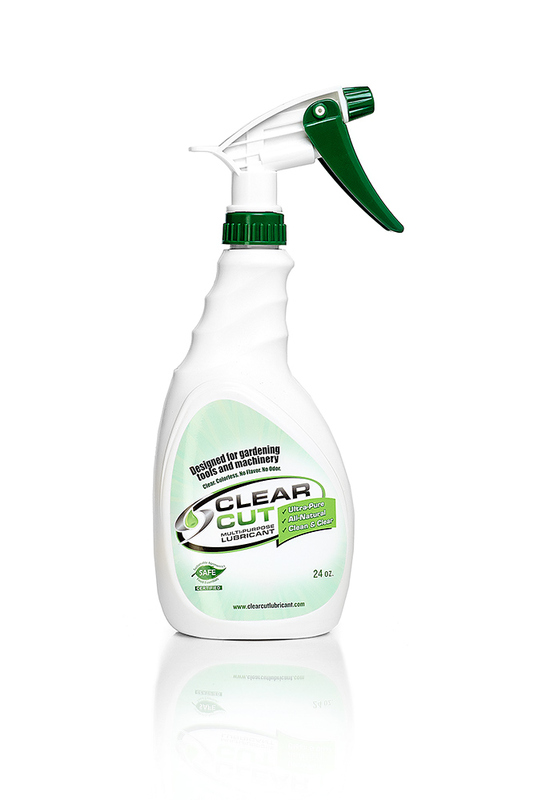 Clear Cutis derived from 100% SAFE-Certified cosmetic grade hemp oil, making it safe for both your plants and your skin.Designed specifically for gardening tools and machinery, Clear Cut‘s lubricating properties provide an UNMATCHED non-stick coating to scissors, clippers, hedgers, and shears. Clear Cut is derived from 100% SAFE-Certified cosmetic grade hemp oil, making it safe for both your plants and your skin. Do your gardening tools get gummed up due to too much cutting, trimming, and pruning? ThenClear Cut is your solution! Its superior non-stick properties help prevent build-up and ensure your tools stay clean and usable for as long as you need them. Stay away from aerosol-based sprays that can harm your plants. Apply Clear Cut lubricant to your gardening tools and machinery before and during use to prevent build-up of residue. Even though it’s a high-viscosity plant-based oil, Clear Cut is designed to spray in a fine mist, so it’s easy to liberally and evenly coat your tools and machinery.